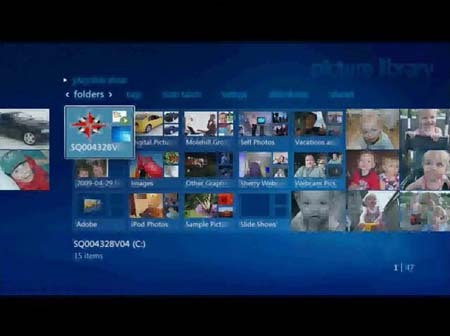 Windows Media Center lets you play television programming, music, and digital photos on your living room TV. Absolute Beginner’s Guide to Computer Basics author Michael Miller discusses the changes made to Media Center in Microsoft Windows 7. He thinks you'll like them. Windows Media Center is one of the most overlooked features of Microsoft Windows. This special interface within the operating system can be used to record and play television programming, deliver music and movies to a home theater system, and send music to a whole house audio system. Microsoft has made extensive changes to Media Center in Windows 7, especially with regard to its TV playback/recording capabilities. If you've never tried Media Center, now is the time to jump in. If you tried some previous version of Media Center but were unimpressed, Media Center 7 might just change your mind. Windows Media Center is a difficult thing to describe, if only because it does so many thingsand because Microsoft has never put forth a clear and consistent vision for it. Perhaps it's best just to describe everything it does, and let readers figure out how best to use it. First, Media Center is a "10-foot interface" to all of Windows' digital media features. By that, I mean that it's designed to be used from a distance of 10 feetthe approximate distance your couch probably sits from your television set. As opposed to the "10-inch interface" of Windows itself (the distance from your desk chair to your computer monitor), Media Center's 10-foot interface is designed for living room use. Connect a PC to your TV or home theater system, and you can use Media Center to watch downloaded videos, and live or recorded television on the TV screen. You can also use Media Center to play digital music in your living room, or watch digital photos on your TV. Of course, this capability presupposes that you have your PC connected to your home audio/video system, but these days that arrangement is relatively easy to set upyou don't need a dedicated "home theater PC" to do it. Just add an optional wireless remote (you don't want to string a computer mouse across your living room, after all), and Media Center successfully integrates all your digital media into your living room or home theater environment. The second thing Media Center does is convert your computer into a combination television/digital video recorder (DVR). By the way, this is how Microsoft is pushing Media Center these daysas the interface for TV playback and recording in Windows. (Microsoft's new Media Center tagline is "The best way to watch TV on your PC.") Of course, your computer has to have a TV tuner card installed, or an outboard TV tuner connected; when so configured, Media Center provides full-screen playback and a really useful program guide for scheduling recordings. Media Center can also be used for music playback. That said, while Media Center's 10-foot interface makes it ideal for music playback in a home audio/video system, it really doesn't add any functionality to what you get with Windows Media Player. For that reason, few people use it for music playback on a standard desktop or notebook computer. Finally, Media Center can function as a big screen photo viewer. Again, this is best illustrated when your computer is connected to a large-screen TV, but Media Center's full-screen photo slideshow functionality looks good on any screen.